IT MAY not be able to dodge bullets as it flies into the danger zone or travel at mach 8, but a replica of one of the machines from the 1960s cult TV show Thunderbirds promises to at least stand out on the road - even when parked alongside Ferraris or Lamborghinis. 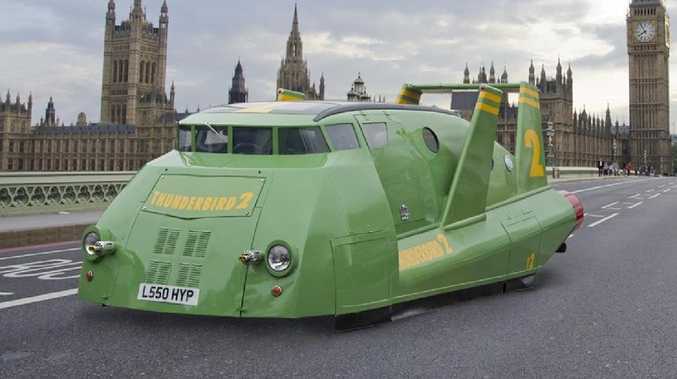 Currently for sale in the UK, the one-off campervan was created to look like Thunderbird 2, the bulbous dark green aircraft that was one of the five Thunderbirds. Thunderbird 2 could carry heavy duty equipment and the brave crew - including pilot Virgil and its creator Brains - to dangerous locations to rescue people. While it's far from an exact replica of the scale model used in the TV show that had puppets as its stars, the one-off life-sized model is registered in the UK and can be driven. It has also been kitted out as a campervan, with a bed in the rear as well as a DVD player, which according to the totalheadturners.com website advertising the vehicle for sale allows the would-be purchaser to "watch your favourite episode". 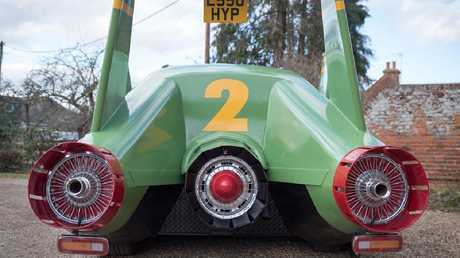 The replica Thunderbird 2 has gullwing doors and fake rear thrusters. 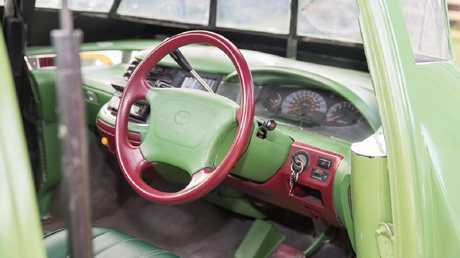 The somewhat bluff design also includes "porthole side windows", a colour-coordinated dashboard and replica guns in the nose. There are also gullwing doors, wings befitting a race car and red rear thrusters. All of which sounds very exciting, until you look at what's beneath the humpy retro skin and making the 'real' Thunderbird 2 drive. The replica Thunderbird 2 is powered by a thoroughly uninspiring 1994 Toyota Previa, a car sold in Australia as the Tarago. Thunderbird 2 won’t go anywhere near Mach 8. Once a popular people mover, the Tarago was fairly space-aged in its design by people mover standards. But it was far from exciting to drive, with a 2.4-litre engine that would take more than 15 seconds to top 100km/h and get nowhere near the 9700km/h that the TV show Thunderbird 2 was designed to fly at. 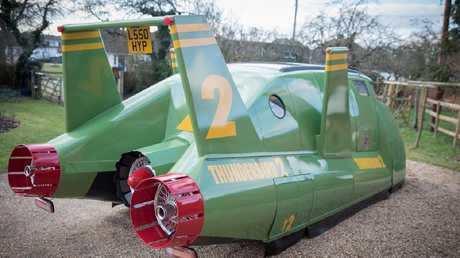 The replica Thunderbird 2 uses a Toyota Tarago as a base. All of which could make the £34,995 ($55,500) asking price somewhat difficult to swallow, even for fans of the TV show that went on to spawn movie spin-offs. The sales pitch on the website selling the drivable Thunderbird 2 asks people to "dare to be different" in a vehicle that is "probably the biggest head turner ever".